Typically, AICUO will feature and congratulate newly elected state and federal officials on here, but recently a UD graduate was elected as Premier of New South Wales, Australia's largest state. 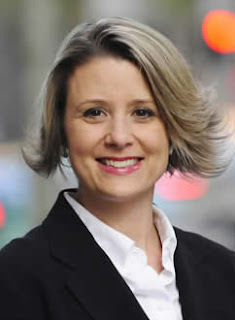 Premier Kristina Keneally was born in the United States to an Australian mother and an American father. She graduated from the University of Dayton in 1991 and again in 1995 with degrees in political science and religious studies respectively. Her progression to Premiership started when she was elected to Parliament in 2003 and Minister of Ageing and Minister of Disability in 2007. AICUO would like to extend a global congratulations to our Aussie friend and wish her the best in her newest post. To read more about Premier Keneally and New South Wales click here.